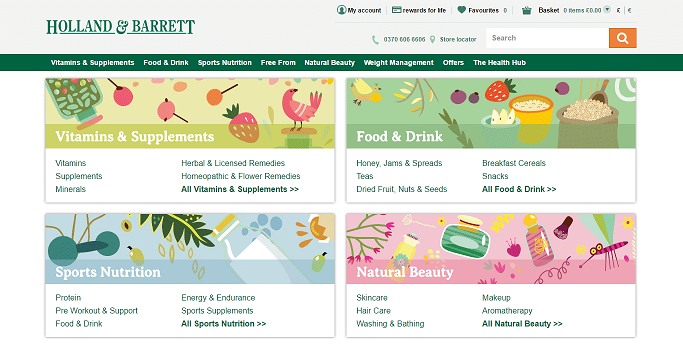 Sign up for free and just shop with Holland & Barrett as normal. Our members earned £50,000+ at Holland & Barrett in the past month. Holland & Barrett cashback can be earned simply by clicking through to the merchant and shopping as normal. Holland & Barrett Cashback is available through TopCashback on genuine, tracked transactions completed immediately and wholly online. Browse a huge range of vitamins, minerals and herbal supplements and make savings when you buy thanks to these Holland and Barrett discount code and cashback deals. Holland and Barrett offer an unparalleled range of natural health food products and provide customers with the most advanced formulas nutritional science has to offer. Their extensive collection of products is constantly expanding and now includes the fantastic FREE FROM range. 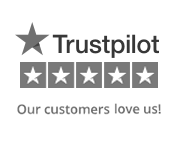 Search advice and articles on everything from diet and weight loss to fitness and skin care, while they offer free standard delivery when you spend £20. Earn points which you can turn into reward coupons and receive exclusive offers and bonus point promotions with Rewards for Life, while you will also find great offers on site, including the famous Holland and Barrett Penny Sale. Use our Holland and Barrett voucher code deals to purchase from a vast range of products. If you are looking for vitamins and supplements, they offer everything from Vitamin D, iron and glucosamine to omega oils, ginseng and homeopathic remedies for conditions like hay fever, stress and poor circulation. Their selection of food and drink products includes nuts, Manuka honey and snacks, as well as breakfast cereals, superfoods and dairy products. If you are into your fitness and want the best when it comes to sports nutrition, you will discover products such as whey protein, amino acids, creatine and carbohydrates, while they also offer natural beauty items such as skincare, cosmetics, haircare and men's grooming products. Finally, you are also able to buy weight management aids on the Holland and Barrett website, including fat burners, meal replacements, slimming tablets and low calorie foods. Shoppers looking to bag a bargain on vitamins, minerals and herbal remedies on Black Friday 2016 could have taken advantage of various deals being offered by Holland & Barrett. Not only did they have more than 50% off selected items, but they were also offering customers 10% off a £35 spend, 15% off a £55 spend and 20% off an £85 spend. Customers could have also saved with buy one, get one for a penny offers on selected items and three for two deals on protein bars. Other Black Friday promotions included two for £10 on vitamins and buy one, get one half price on nuts, while we were offering our members up to 15.4% cashback. Holland and Barrett offer free standard delivery when you spend £20, which should see your order arrive within four working days. If you need your purchases in a hurry, order by 7pm for next day delivery seven days a week, with orders placed after 7pm being delivered in two days. As an alternative to home delivery, if you order online by 7pm, they will deliver it to a Holland and Barrett store of your choice for you to collect the next working day. This service is free if you spend a minimum of £20. Orders placed after 7pm can be picked up in two working days, while orders placed on Friday will be available on Monday. You will be sent an email or text when your order is ready for collection and you should take along a copy of your order confirmation. Spend more than £20 and you can collect your parcel for free from an InPost Parcel Locker, which are accessible 24/7. Orders placed before 7pm will be ready for collection the next day (Monday-Friday). They will send you a unique code, which you will need to access your items. If the value of your order is £20 or more, it can be sent to a myHermes ParcelShop for free. Your order will usually be ready for collection in 3-4 working days, though you will receive a text when you can go and pick it up. They will hold parcels for 10 days. Not only can you save with our Holland and Barrett vouchers, but you will earn points every time you shop with the free Rewards for Life scheme. Receive an introductory four points for every £1 you spend, while they will also give you 150 points - worth £1.50 - when you activate your card. As well as earning points, you can benefit from exclusive offers and bonus point promotions. The points you earn will be converted into reward coupons on a regular basis, which will be sent to you by post or email for you to use online or in store. You will qualify for your next coupon as soon as you collect 50 points or more. 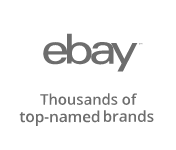 Sign up for email updates and you will be the first to hear about new products, while they will also send you information they think you might be interested in. Download their free app and you can use your phone as your Rewards for Life card as collecting points, checking your balance and redeeming coupons can all be done with a quick swipe. Go online and you are sure to find plenty of money saving offers. These could include the hugely popular Holland and Barrett Penny Sale, where if you buy one product, you get a second for just a penny, as well as better than half price and buy one, get one half price deals. Whether you are buying vitamins & supplements, food, health & beauty items or sports nutrition, you may find online exclusives and offers on specific products and brands. Browse a huge range of vitamins, minerals and herbal supplements at Holland and Barrett and get a discount with these deals. They offer an unparalleled range of natural health food products and provide customers with the most advanced formulas nutritional science has to offer. Their extensive collection of food supplements, health foods and herbal remedies is constantly expanding and now includes the fantastic FREE FROM range. Use our cashback and discount code deals when you shop and save money on weight management products, personal care products and sports nutrition such as protein, whey protein and creatine.